I hope everyone had a wonderful time ringing in the new year. Do you make New Years Resolutions? I really not make any resolutions. I have just said that I want to become more organized. Check out today's featured it involves a sock. Maybe you can use one of those unwanted sock gifts to make this craft. 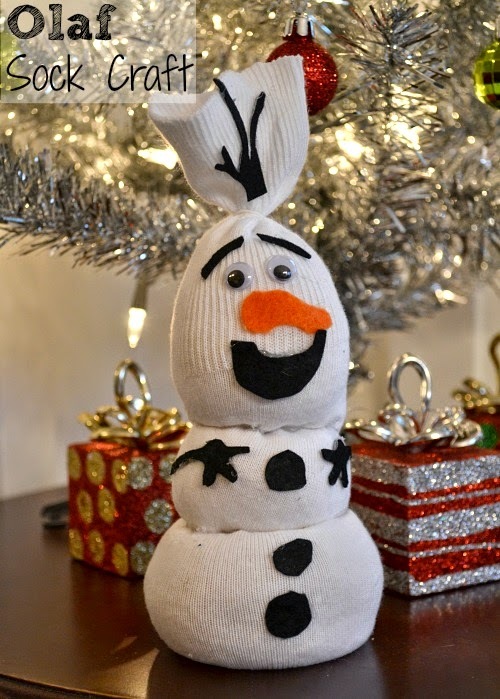 Sherri over at the Luv A Bargain for her Olaf Sock Craft. As alway's don't forget to swing by Kristina and Millie, Dee, and Sarah's sites and check out who they featured. It could be you. Don't forget to grab your featured button and display it proudly. If you were not picked as the favorite here, there is still a chance that Dee, Kristina and Millie or Sarah pick you. So don't forget to swing by their sites to see who their favorite was.